Fake exhaust tips to put spy photographers off the scent! 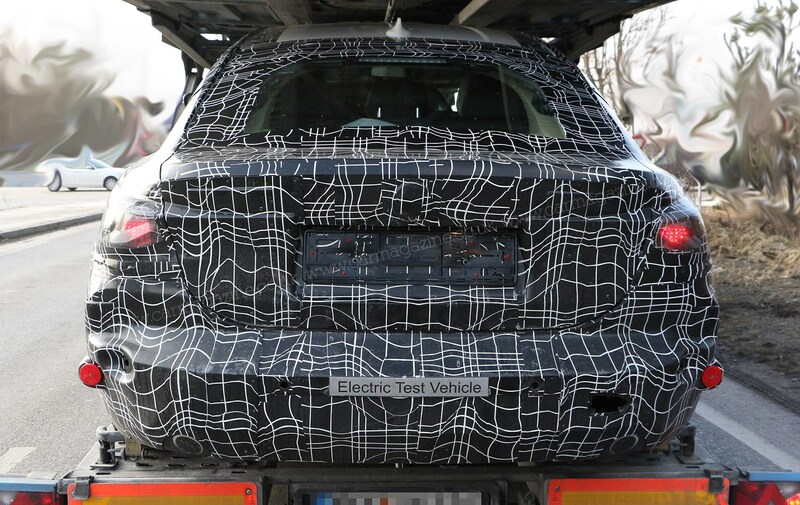 BMW has issued its own winter testing pictures of its next Tesla-rivalling electric car. 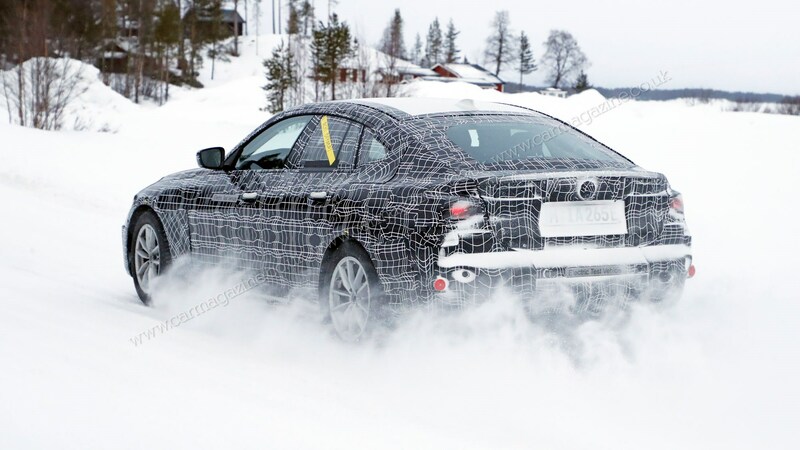 This shot of the forthcoming BMW i4 was taken at the group’s winter test centre in Arjeplog, Sweden as engineers fettle the batteries and EV power systems to make sure they can work when the mercury plummets far below zero. 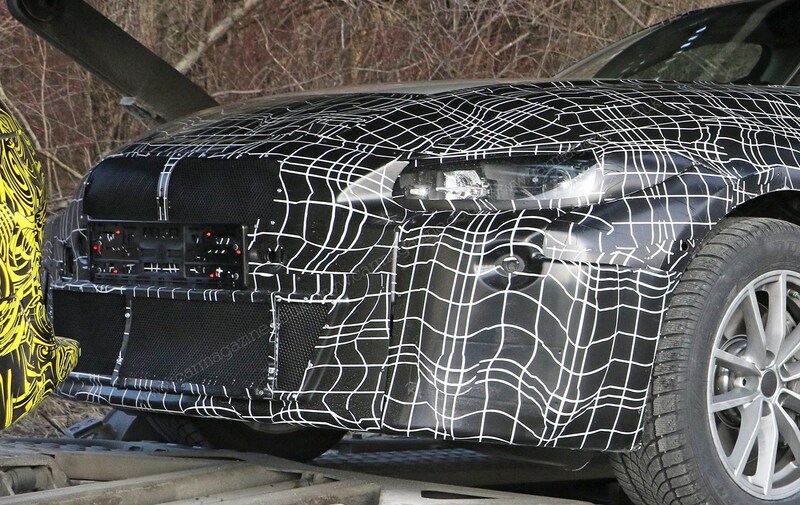 Our last batch of spy shots showed the forthcoming EV on a transporter, but now we get to see the prototype stepping out in the snow. Coming in 2021, the i4 will slot in between the i3 and i8, and will be aimed directly between the Model 3 and Model S electric cars. The BMW i4 looks just like a 4-series Gran Coupe! 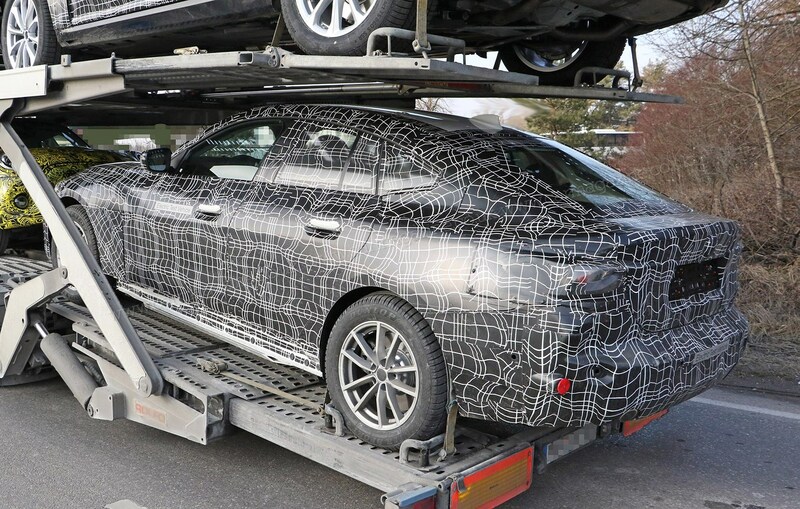 As shown in our previous pics, the i4 looks a lot like a standard 4-series Gran Coupe, though it appears to ride a little higher – probably due to battery packaging. 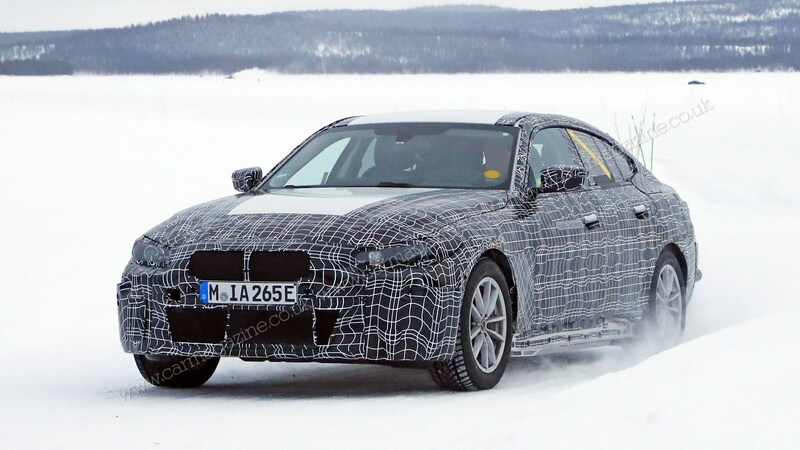 While we expect much of the design to remain the same, we do think BMW will do something more unusual with the car’s grille; after all the i4 won’t need cooling inlets like a conventional ICE car. 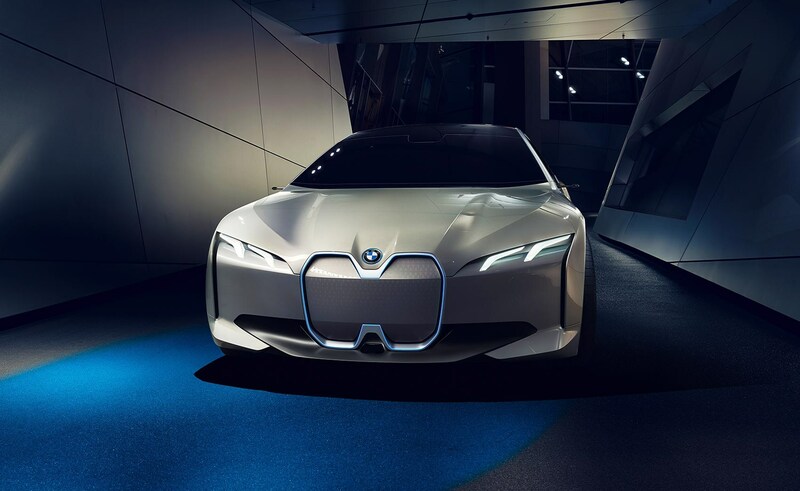 Instead, expect the ‘conjoined-kidney’ or ‘mini-dumbbell’ grille as seen on the BMW i Vision Dynamics concept car to feature. Once you strip away the disguise, insiders promise the i4 will keep the BMW i vibe alive and kicking, even if the proportions look remarkably traditional. That's what packaging four adults and luggage does to a design. 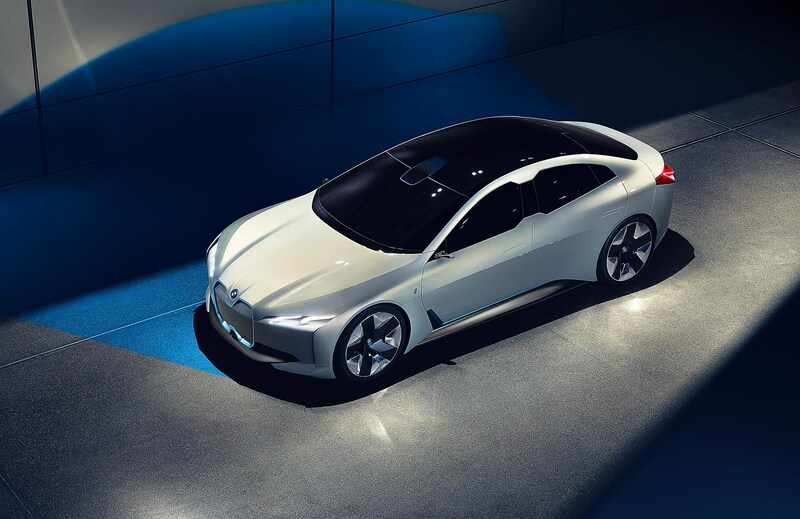 The sleek, low-slung i Vision Dynamics concept from 2017 (below) was a four-door 4-series Gran Coupe-style family car previewing the third i model. BMW said it was capable of 0-62mph in four seconds, a top speed of 120mph and an electric, zero-emissions range of up to 373 miles - figures we'd wager sound remarkably feasible for a production EV two years away from showrooms. 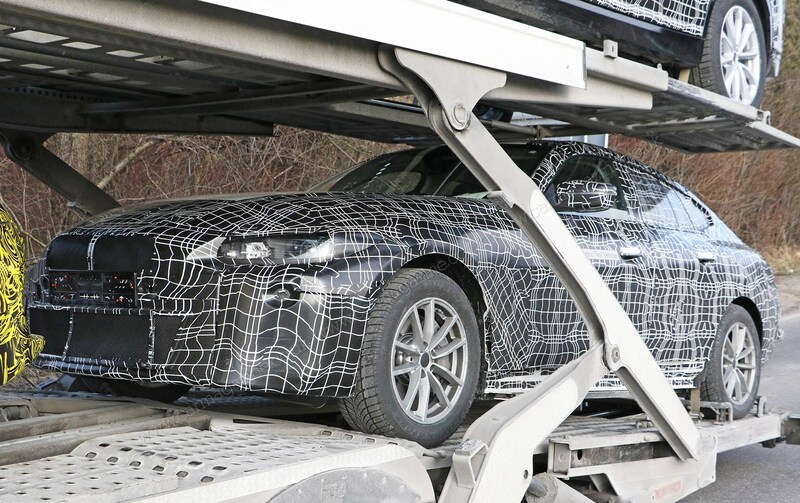 It is unclear at this stage whether the new BMW i4 will be built around the group's CLAR architecutre or a separate platform; we know that the batteries are accommodated along the floor within the wheelbase, which explains the slightly raised ride height visible in these spy photos. The cells are mounted low for better handling, and the body is lifted to maintain decent accommodation. This won't be a bespoke carbonfibre chassis, as with the i3 and i8; instead expect a sprinkling of lightweight aluminum and maybe a CFRP roof, like on an M4, to slice out weight but keep a lid on costs. Shorn of the disguise adorning this camouflaged prototype, insiders hint that the production version will keep a distinct i family face, with unique kidney grilles and the door handles are said to be touch-operated, rather than manual affairs. The concept (below) had flush door handles too. 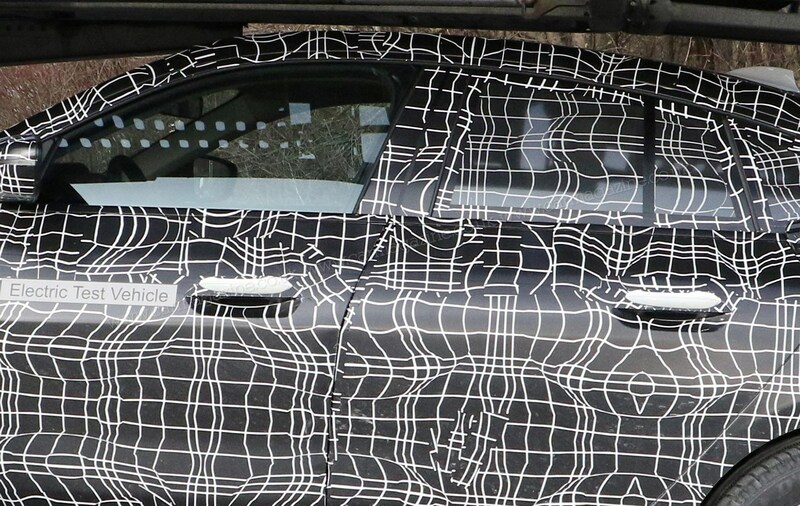 Note also the faked exhaust pipes built into the camo at the rear, to put our spy photographers off the scent. Although this is rather undone by the 'Electric vehicle' stickers required by law in Germany in case of a high-voltage accident! Will it really be called i4? 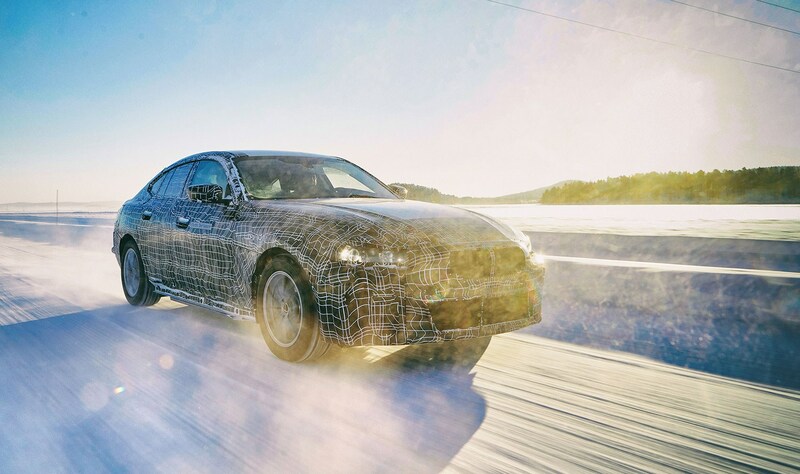 If BMW is to maintain its current naming strategy, it makes sense that the production model would be called i4, like the combustion-engined 4-series Gran Coupe BMW is linking it to. Munich has house-kept its naming conventions rather better than Audi and Mercedes, many would argue. Sticking to existing logic would be a neat solution. 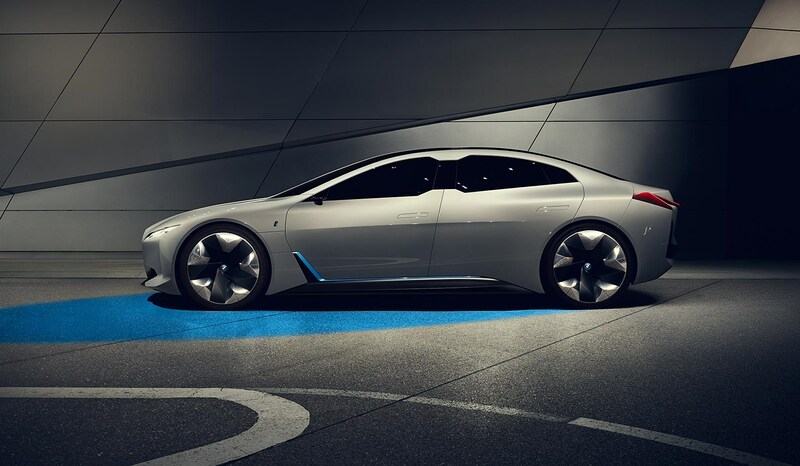 The BMW i4 is an electric car that’s designed to be easy to own and a blast to drive. And it’s going to form part of a fast-growing family of electric BMWs. There will be a four-strong hybrid or battery line-up by 2021, with as many as 25 by 2025. Sounds great! 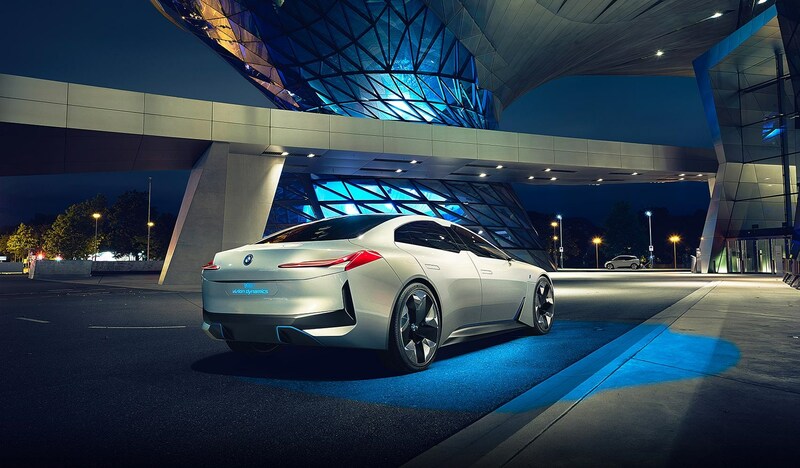 When can I buy the BMW i4? Arnold pointed to the i3 and i8 timeframe for a rough idea: the EfficientDynamics Vision concept from 2011 ended up being the i8 in less than three years. 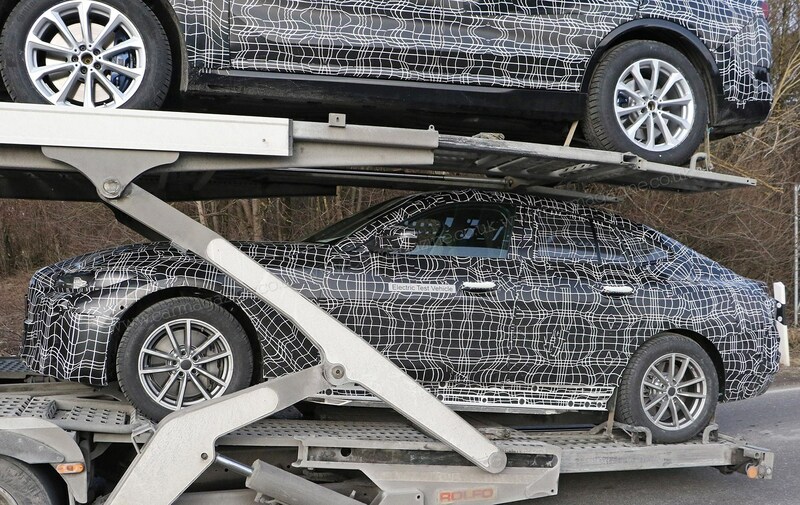 On that basis, a customer-ready i Vision Dynamics could be in showrooms as early as 2020, explaining our new spy photos of a prototype on a transporter. The i Vision Dynamics is far from the only electric BMW in the pipeline. As part of the group’s plan to provide 25 electrified cars by 2025, with 12 being fully electric, BMW i has a lot on its plate over the next eight years. ‘It’s sometimes smart not to talk too much about your future plans’, says Arnold, but we have a pretty good idea. An electric Mini hatch is already set to be built in Oxford for 2019. An electric X3 SUV will follow a year later.